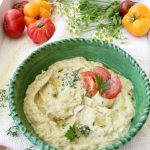 A healthy, creamy, authentic Greek yogurt Tzatziki sauce recipe, made with garlic and cucumber, the perfect condiment for grilled chicken, gyros, burgers or as a dip with pita chips at a summer garden party. No sour cream ever! Ready in about 10 minutes, it can be made with whole milk or non fat organic yogurt, totally your choice. 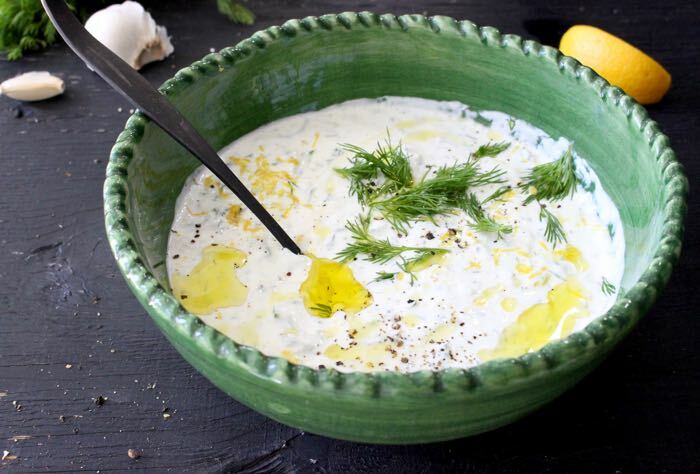 Creamy Greek Yogurt + Cucumber + Garlic + Lemon = Perfection! 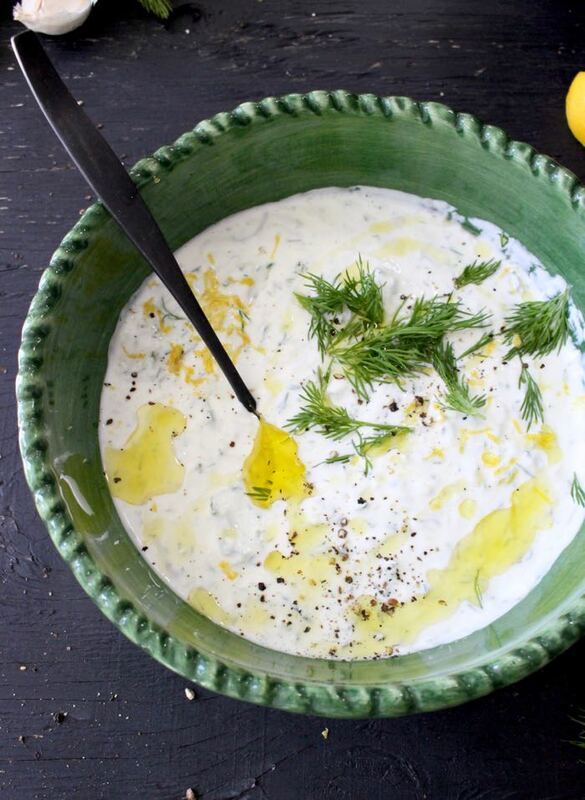 The secret to an extra creamy tzatziki sauce lies in making sure you drain the cucumber well after grating it. Do not peel it! You want little pretty green specks popping through the final dish, but make sure to use your hands and squeeze as much water out of it as possible. Save that to make cucumber lemonade for later. 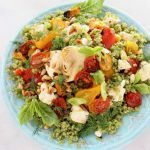 Then you mix it well with fragrant fresh dill, lots of grated garlic, a touch of olive oil and brightened up with some zesty lemon. 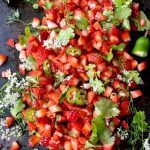 All without the use of a blender or food processor, and can be stored in the refrigerator in a jar with a tight lid up to a week. What to serve with ? Why is my tzatziki sauce watery and thin ? Most likely you forgot to drain the cucumber well or you used a thin yogurt. Must use a Thick Greek style yogurt and squeeze out all the moisture. 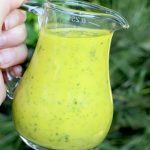 Healthy, Greek yogurt, garlic and cucumber Tzatziki sauce recipe, the perfect condiment for grilled chicken, gyros, burgers or as a dip with pita chips at a summer garden party. Rinse the cucumber then shred it through a cheese grater. Transfer to a cheesecloth lined strainer and allow it to drain over a bowl. Use your hands and squeeze as much of the water out of it as possible. 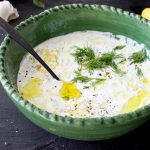 Add the Greek yogurt to a medium serving bowl and mix together with the olive oil, grated garlic, lemon juice, fresh dill and drained grated cucumber. Season to taste with sea salt. 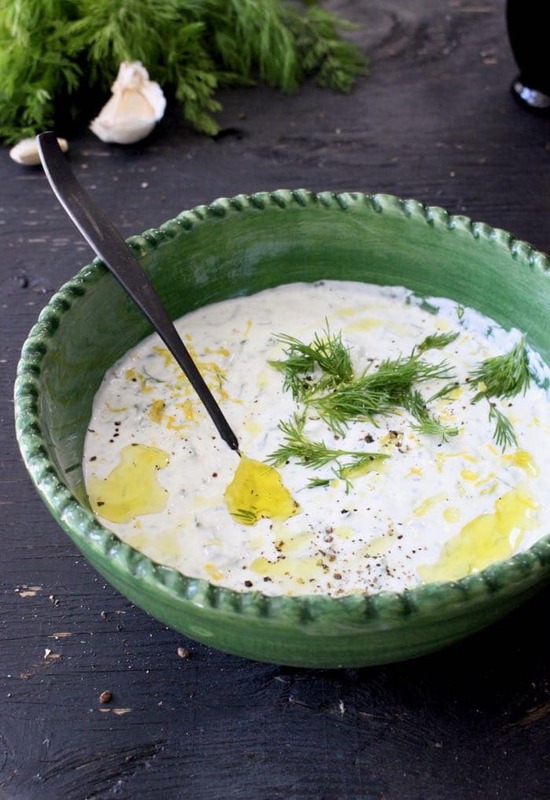 Serve garnished with the lemon zest, a drizzle of extra virgin olive oil and some fresh dill. This sauce is absolutely amazing! We did double up on the Garlic tough because we love garlic! Made this today, it was DELICIOUS! So simple yet absolutely perfect and flavorful. Thank you for the recipe, I topped chicken gyros with this for dinner and have leftovers for lunch tomorrow! Yay !